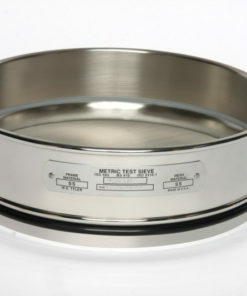 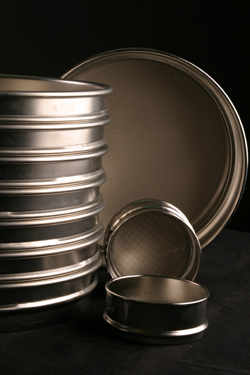 The North-American industry standard in test sieve shakers, W.S. 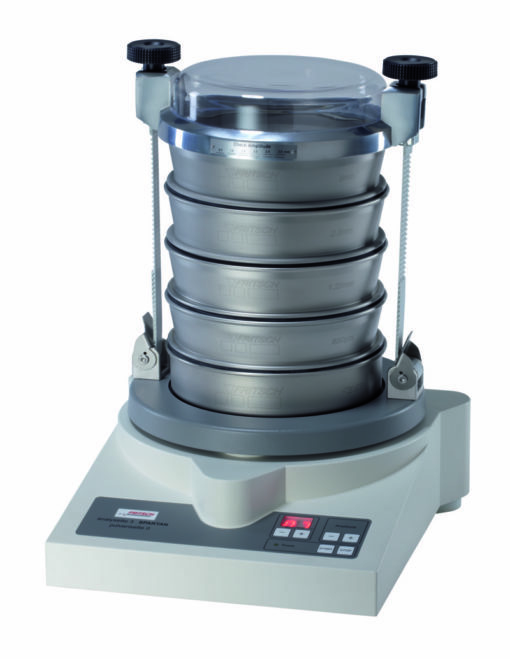 Tyler™ Ro-Tap® has a unique two-dimensional operation: a horizontal, circular motion and a vertical, tapping motion. 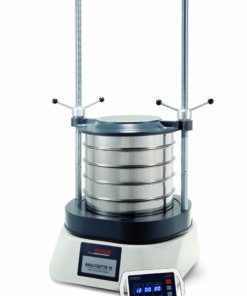 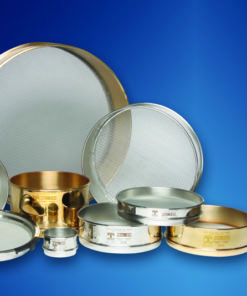 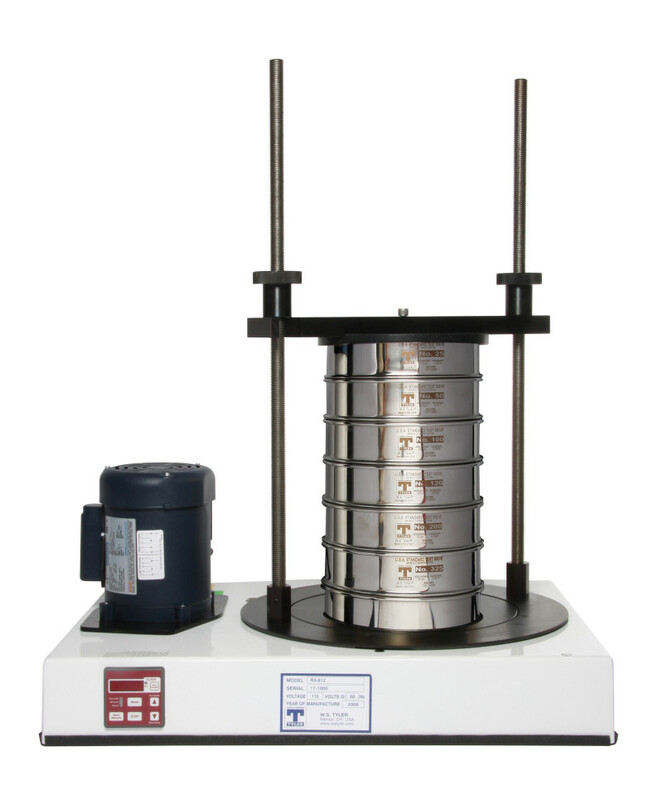 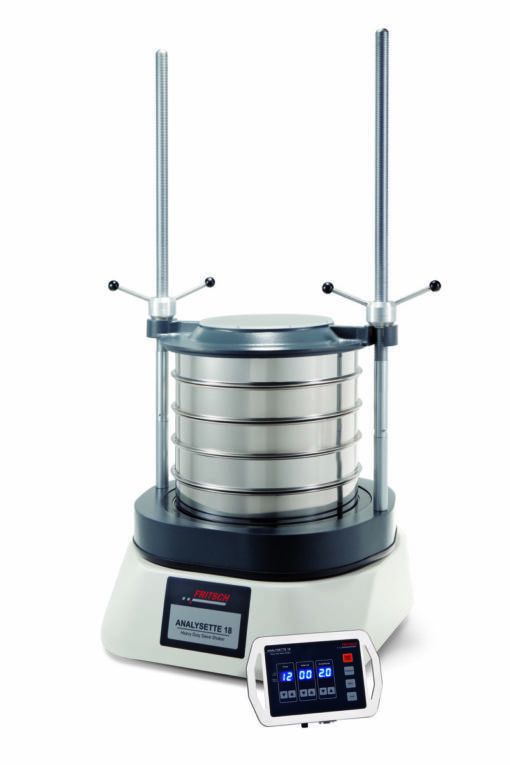 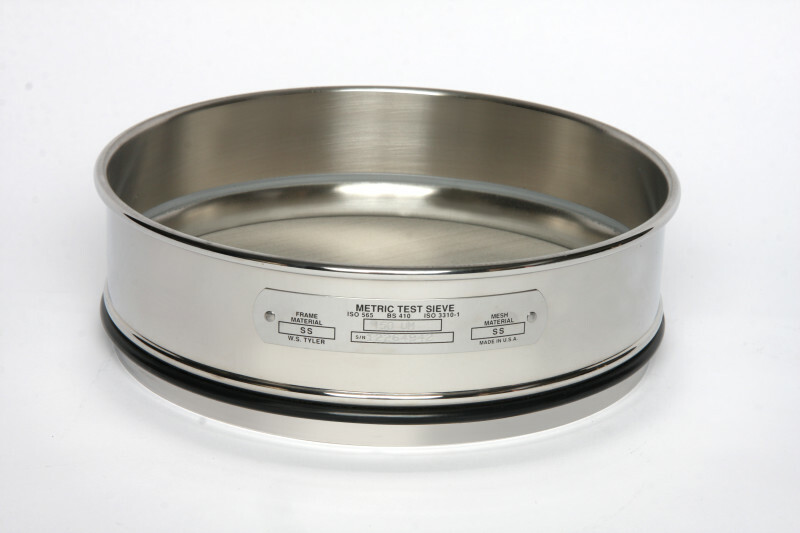 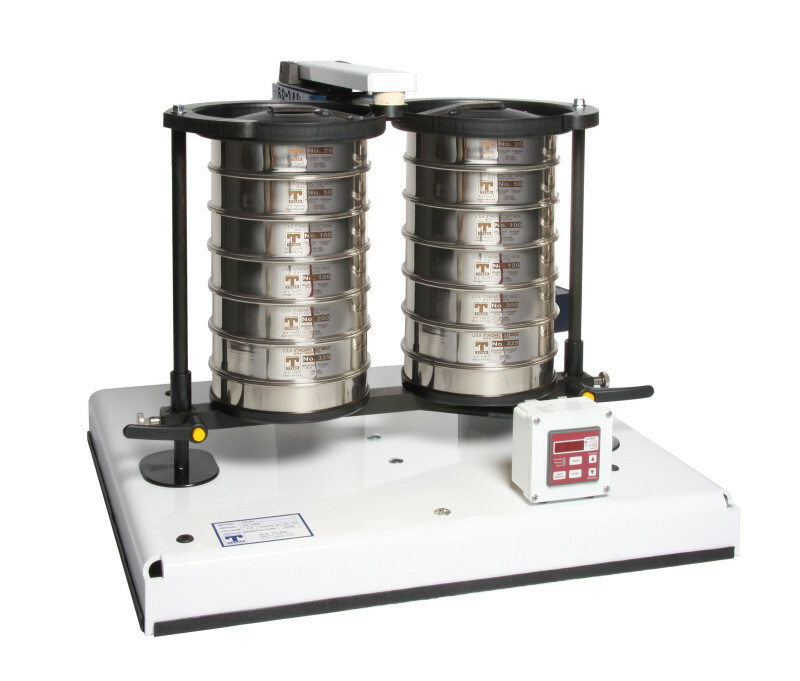 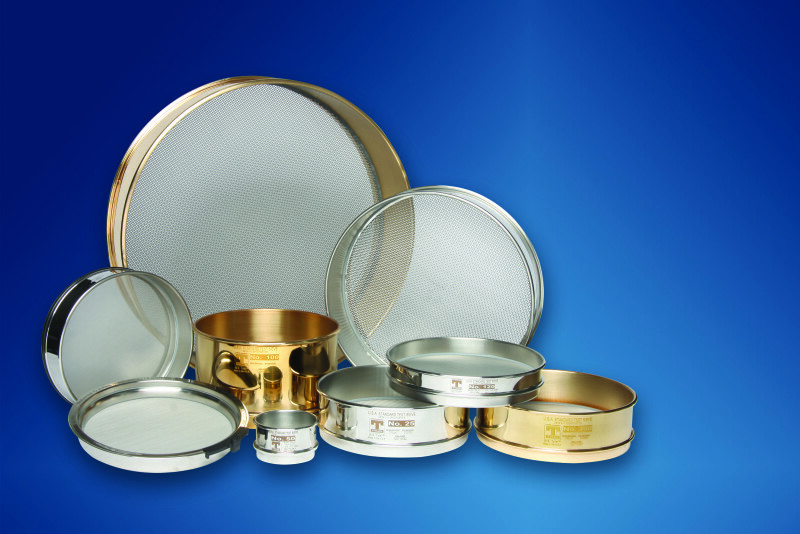 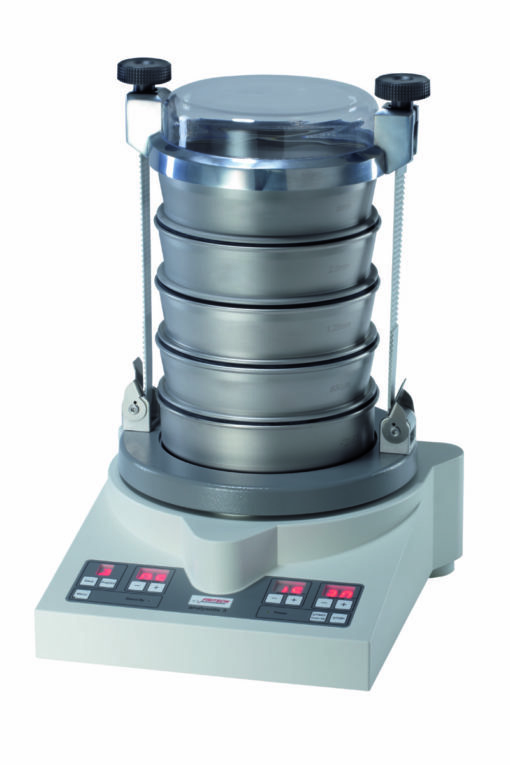 The Ro-Tap® is the required test sieve shaker in many industrial specifications, according to ASTM Standards. 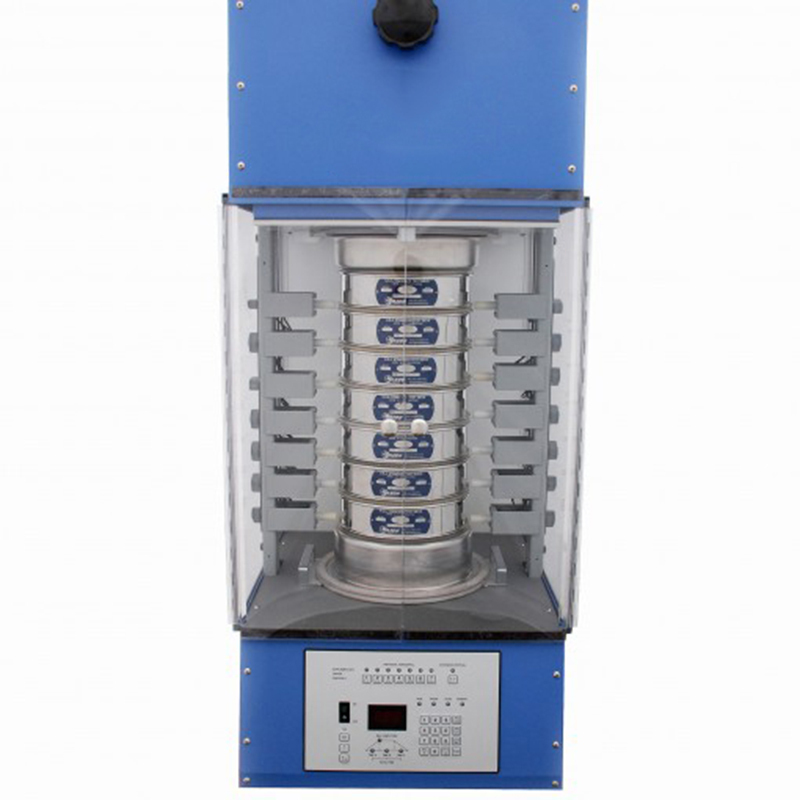 Ro-Tap® Sound Enclosure Cabinet: that is designed to be used exclusively with the Ro-Tap®Sieve Shaker, reduces operating noise levels from approximately 85 dB to 78 dB. 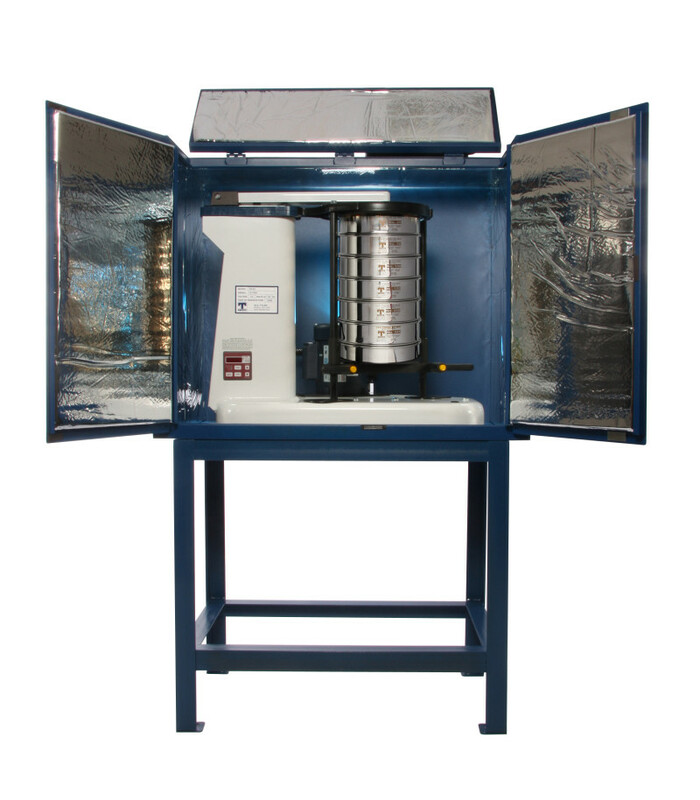 The cabinets are fabricated with 18 gauge steel and a 1″ metal-faced, acoustic foam inner liner. 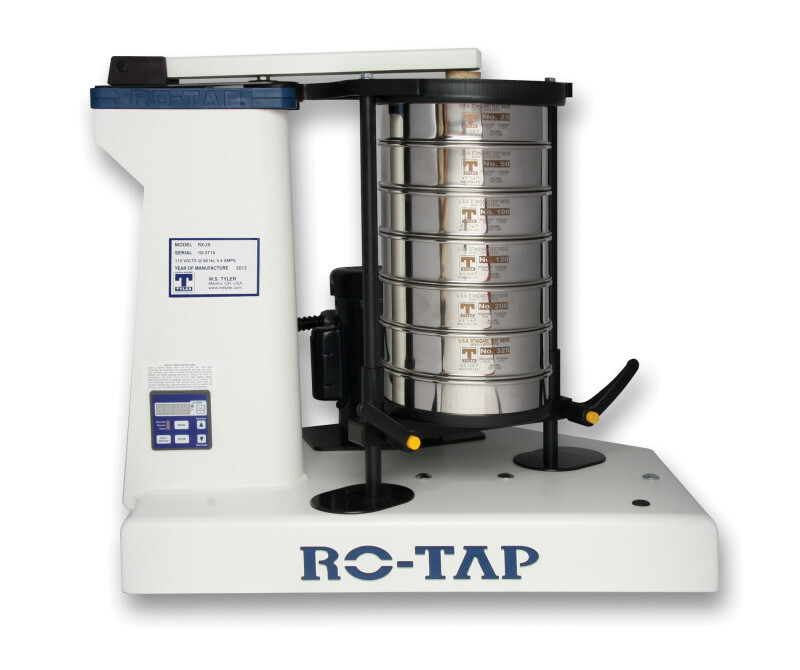 Ro-Tap® Test Stand: can be used with or without the Sound Enclosure Cabinet. 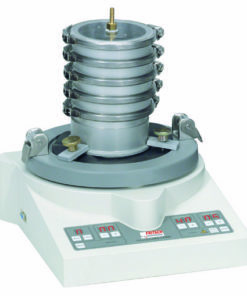 Analysis time 20 – 30 min. 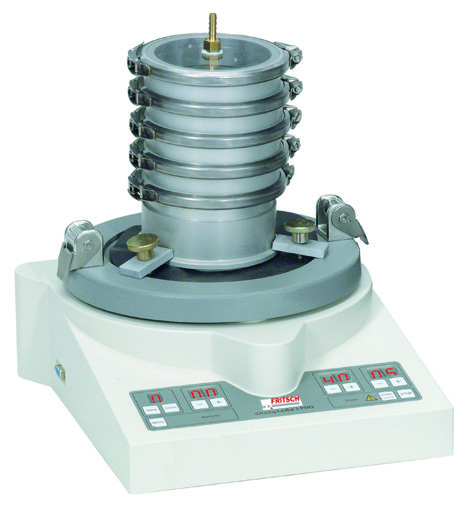 Hammer weight: 5 lb., 6 oz. 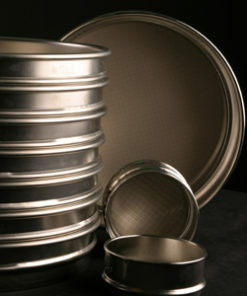 Optional CSA approval available for Canada. 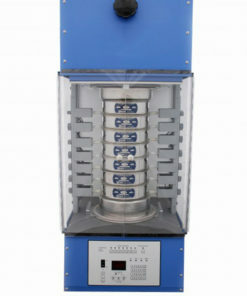 The design intent was to replicate and mechanize the hand motions required. 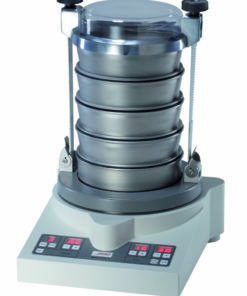 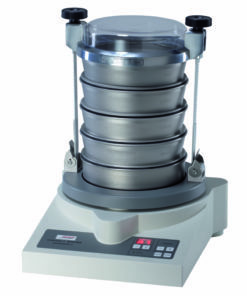 The Ro-Tap® Sieve Shaker, with its rotating movement and tapping energy, provides consistent, repeatable sieving analysis results.